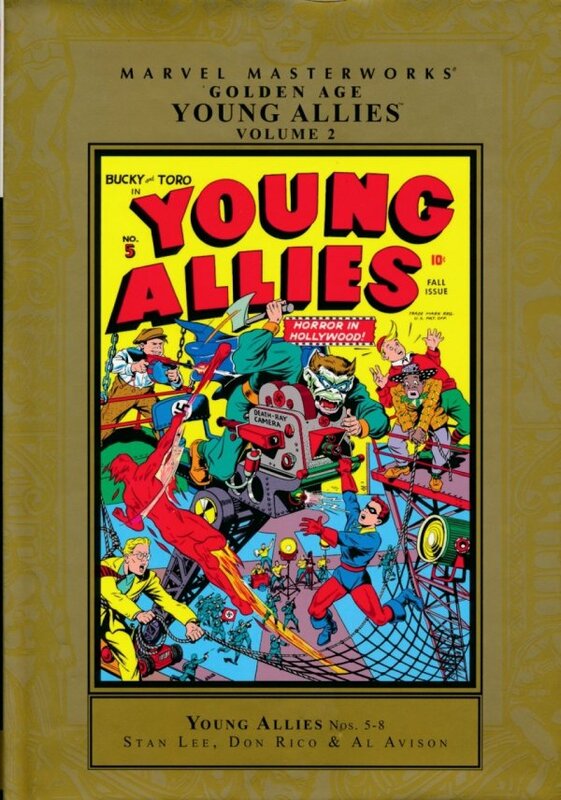 If you were a red-blooded American youngster in 1942, there was one adventure you'd love to have - and the Young Allies, comics' first team of kid adventurers, would take you there with a knuckle sandwich straight to the Axis powers! Bucky, Toro and their gang protect America on the homefront and on the front line in giant 40-plus-page adventures that burst off the page with action and excitement. Traveling across the country and around the globe, the Young Allies fight Hitler's Hollywood infiltrator the Owl, the South American Ambassador of Terror, the North African Nazi Wehrmact and the fiendish Whip. Backed-up by the time-traveling Tommy Tyme and humorous Norman the Doorman, the Golden Age classics in this volume are collected here for the first time in 70 years. So don't wait a moment longer - reserve your copy today! 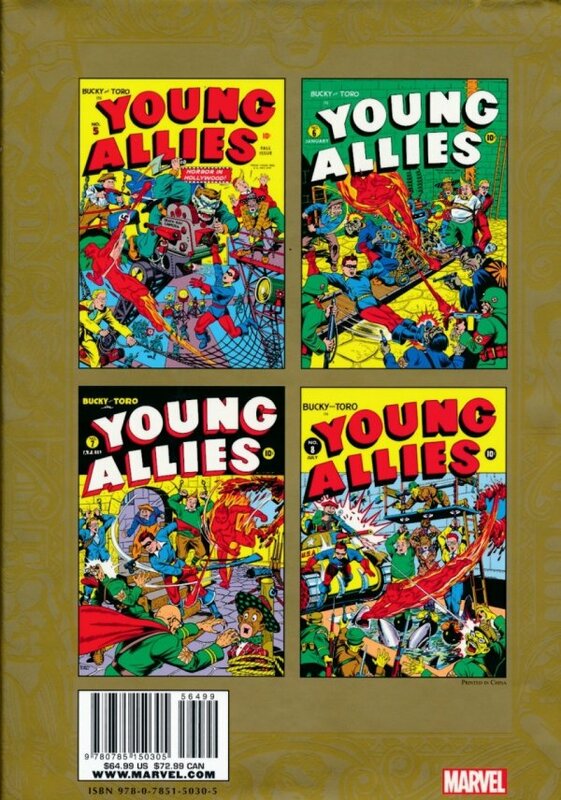 Collecting YOUNG ALLIES (1941) #5-8.